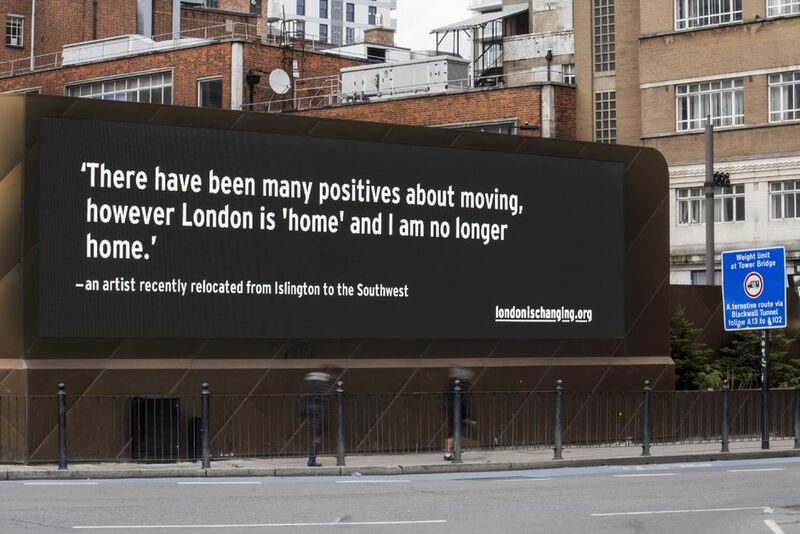 London billboards are sharing the stories of people moving both to and from the rapidly changing city. Some of them are quite painful to read. 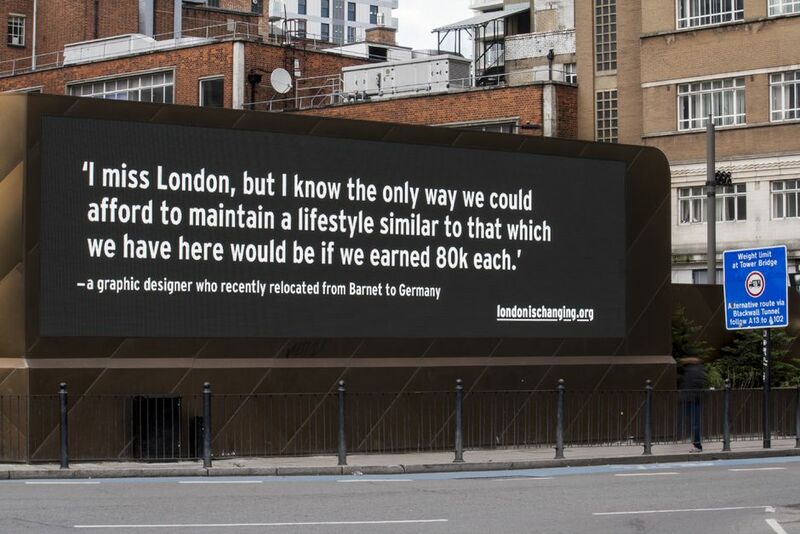 Why do people choose to move to London? 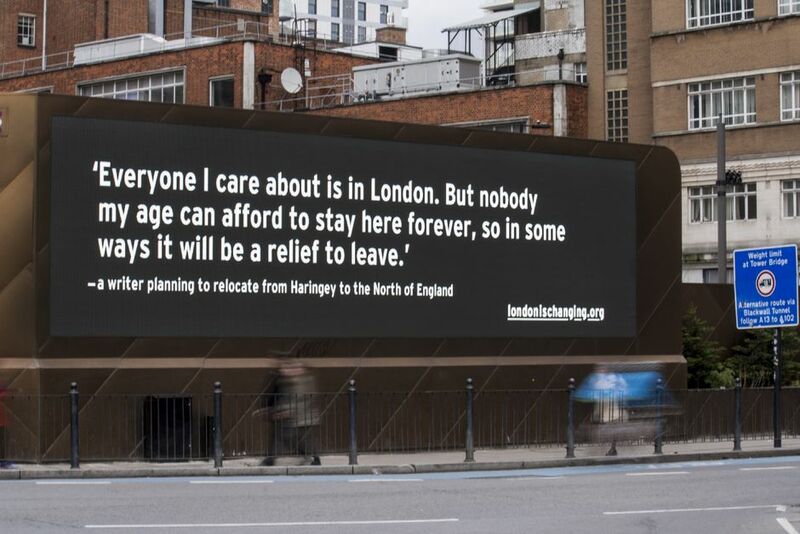 And why do they choose to leave? 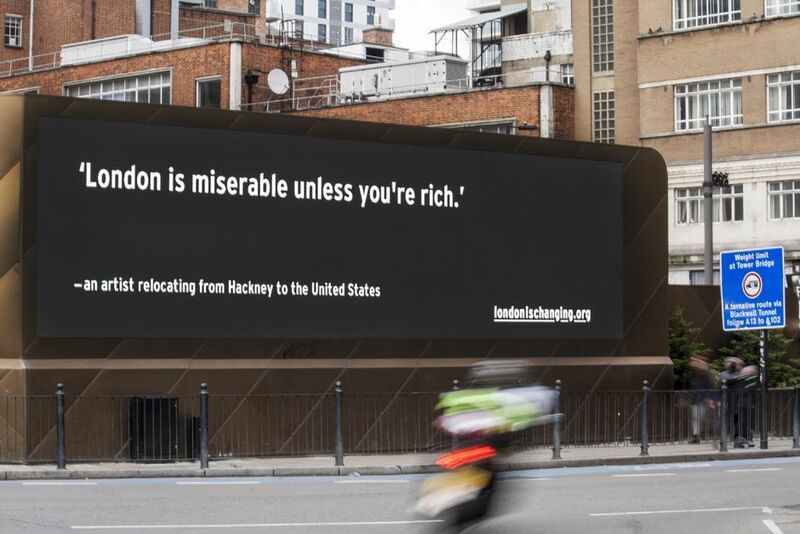 A new project exploring these questions is currently playing out in an unlikely venue—two advertising billboards in the center of the U.K.’s capital. 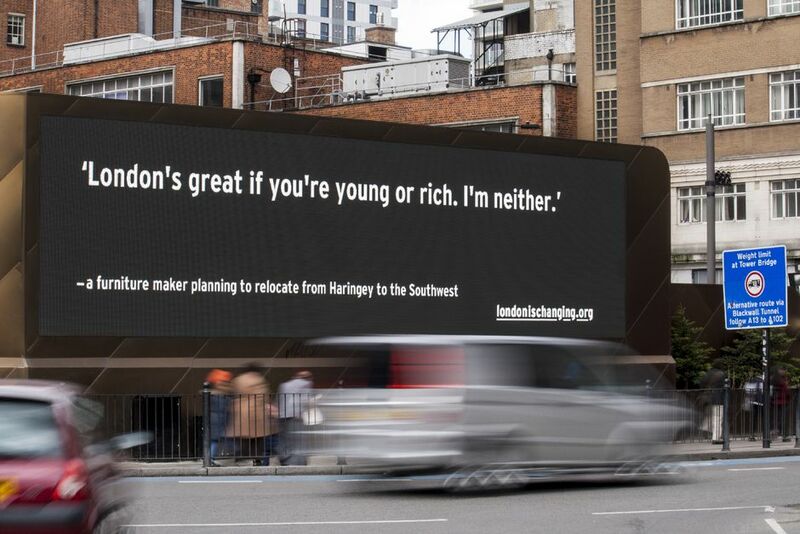 Called London is Changing, the project is run through a website that invites people who are moving into, out of, or across London to share the reasons and emotions behind their migration. 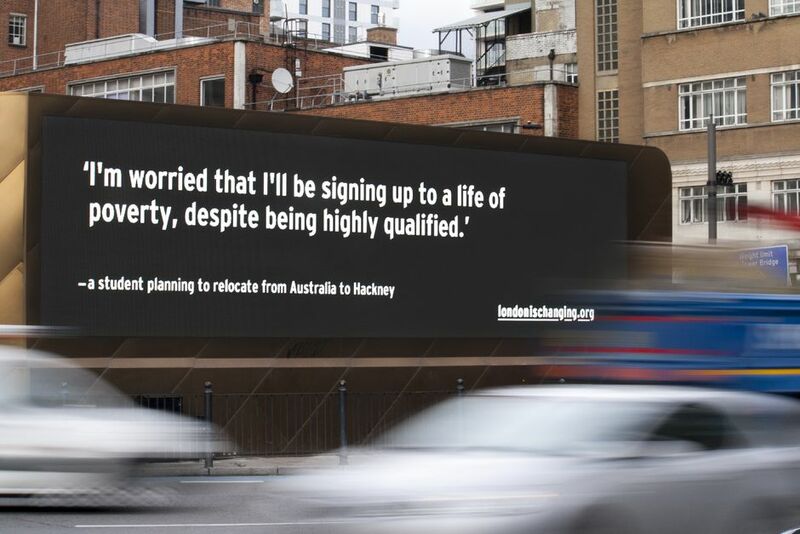 These messages are then displayed on the billboards, hopefully giving passers-by pause for thought as they walk or drive. 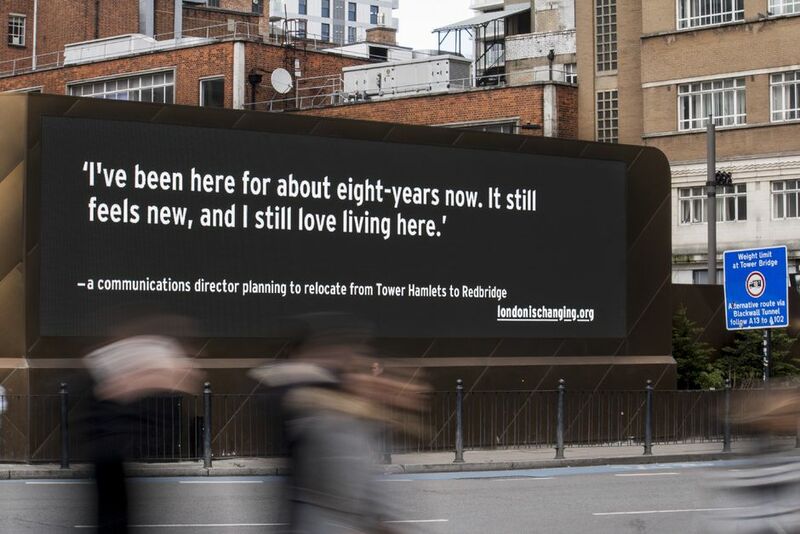 The project is the work of communication design lecturer Rebecca Ross, who traded for use of the electronic display units in lieu of payment for some consulting work she did for the billboard company. The results of her call for submissions make for compelling, surprisingly nuanced reading. While most of those taking part so far have been leaving rather than arriving, Ross hopes that greater publicity for the project (which runs through 2015) could help spread the word to a wider pool of people. Even now, contributors’ reactions don’t fit comfortably into one camp. 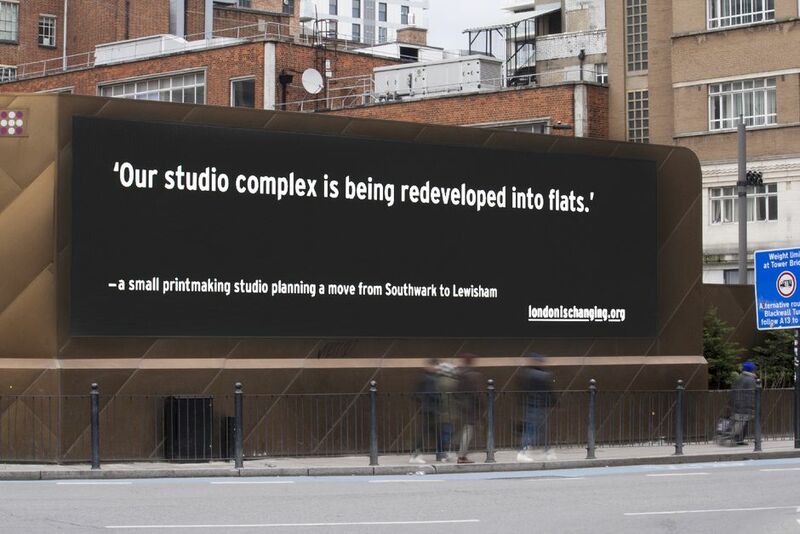 Some sound justifiably embittered by London’s intern culture and dodgy landlords. 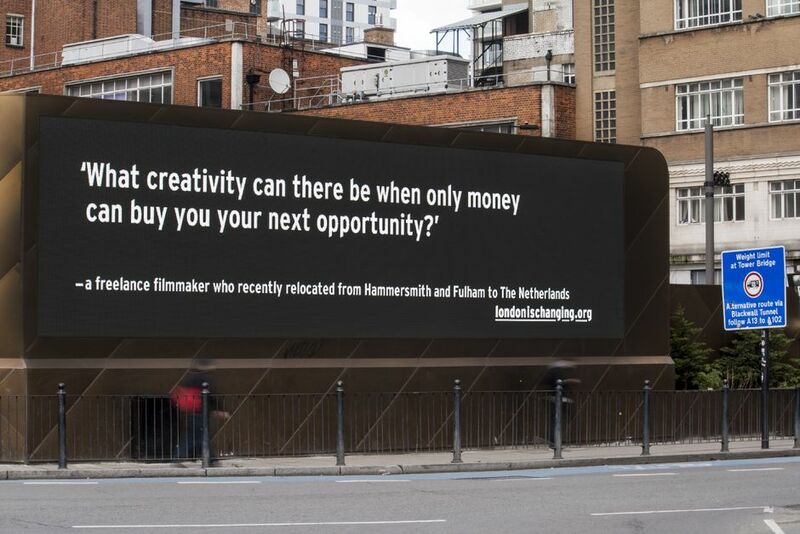 “What creativity can there be when only money can buy you your next opportunity?” asks a freelance filmmaker relocating from West London to the Netherlands. 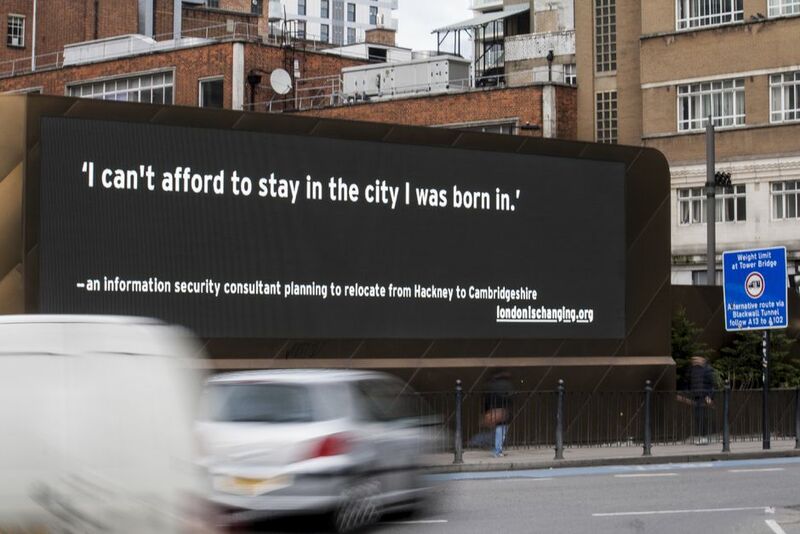 “I have had to move four times in the last two years because of unscrupulous landlords, rent increases or nightmare housemates,” protests an arts worker moving from expensive Southwest London to the cheaper Northeast. 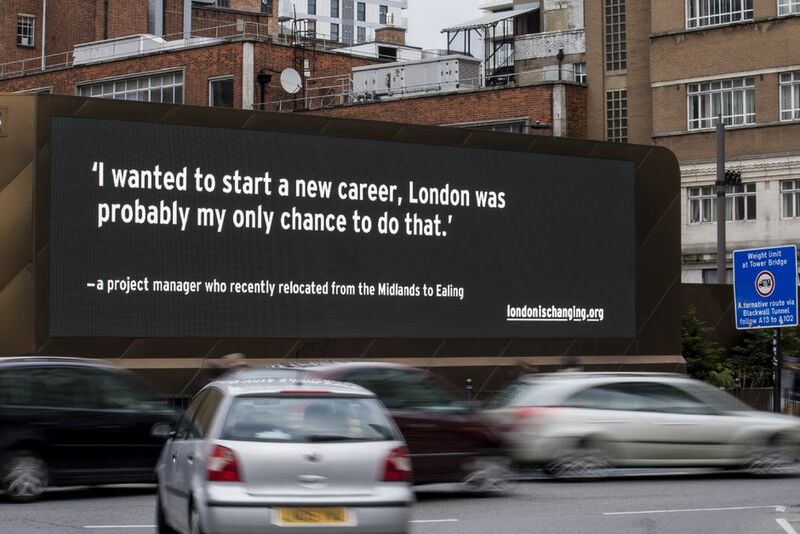 All round, the messages capture the alluring but frustrating pressure cooker atmosphere of a city going through rapid change. 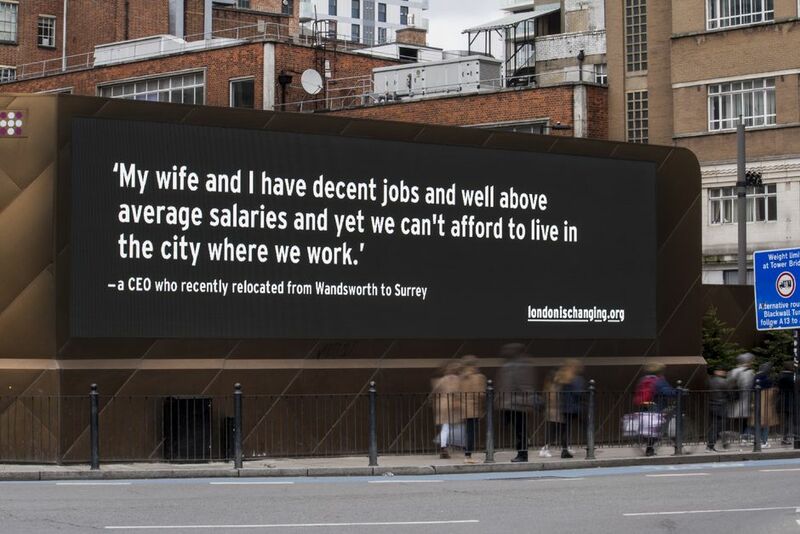 You can read a full transcript of all the billboard messages displayed so far on this page, or keep scrolling to view more. Judy Collins "Send in the Clowns"
Taxes are the Price for Civilization?